I consider these snowy, frigid weeks we’ve been having to be “soup weather.” There’s just something about having a hot bowl of soup on a cold night that makes you feel better (not as much as a sunny beach does, but I’ll take what I can get). I usually love to make my crock pot chili in the winter, and probably will be whipping up another batch of that soon, but I wanted to try something new. I looooove Panera’s broccoli cheddar soup (in a bread bowl…) but I know that since it’s creamy and cheesy it’s also pretty high in calories. 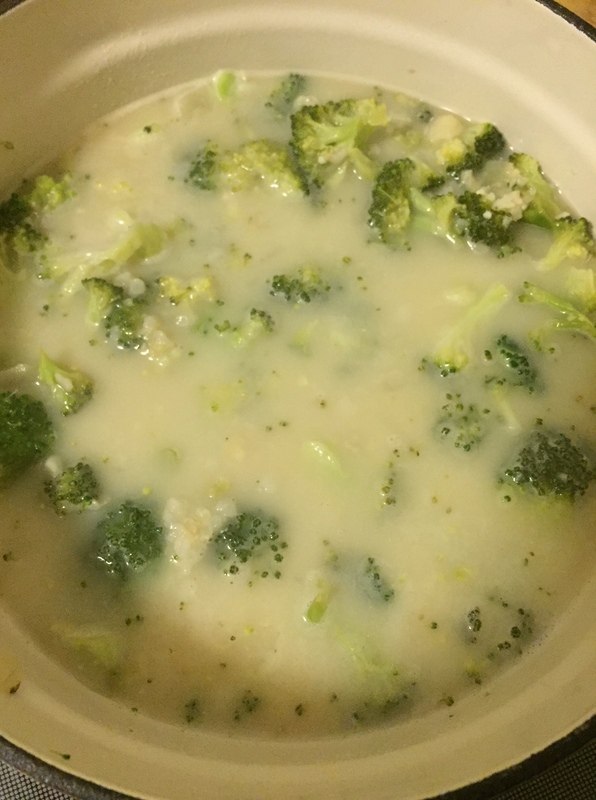 Luckily, I just started getting Cooking Light magazine and they happened to have a lightened-up version of broccoli cheddar soup! The base for this one is actually pureed brown instant rice. Now before you say “ew” and stop reading, hear me out: there’s still tons of cheesy flavor to make this allllmost as good as the original. 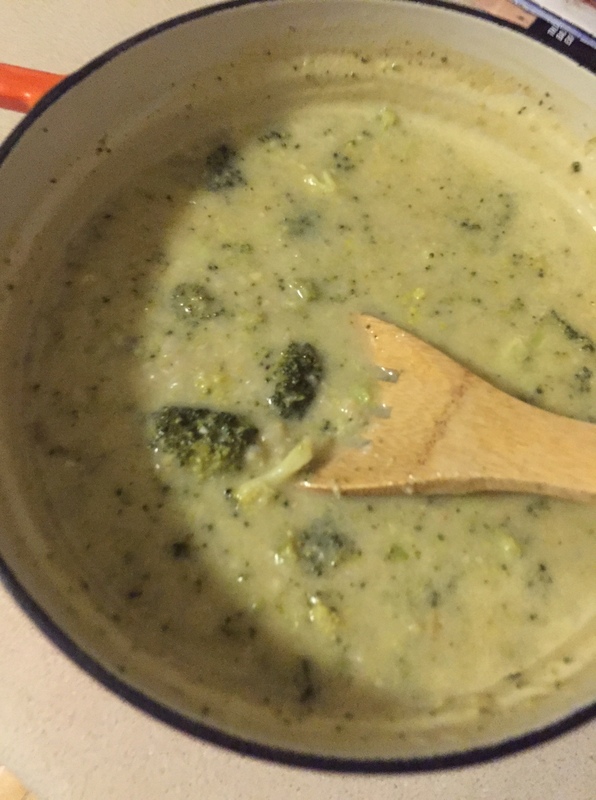 The rice just gives it a slightly different taste and actually makes it a lot more filling, but it still is full of cheese and broccoli, I promise! I actually thought it tasted a lot like chicken divan in soup form (without the chicken). So maybe that’s what I should be calling it. And maybe I should try it with chicken next time. But for now, here’s the recipe! At only about 300 calories a bowl, there’s still plenty of room for a side salad, a slice of bread, or fruit to go with it too. Enjoy! 1.) Combine 2 cups stock/broth and rice in a small sauce pan over medium-high heat. Bring to a boil, cover, and reduce heat. Let simmer for 25 minutes, stirring occasionally (mine kept trying to boil over). Remove from heat and let stand 5 minutes. 2.) 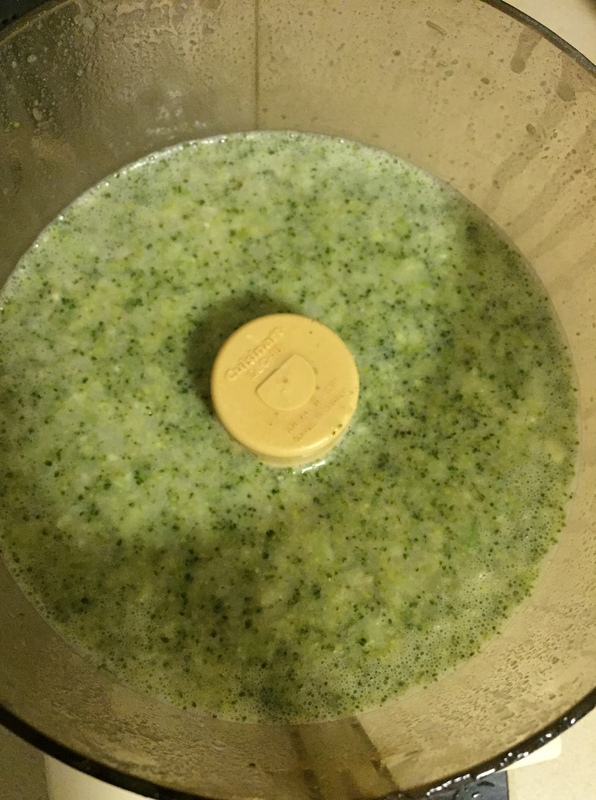 Place rice mixture and milk in a blender or food processor (this was a little messy in my food processor) and blend until smooth. 3.) Heat a large sauce pan or Dutch oven over medium heat and add oil. Add onions and saute until soft, then add garlic and cook for about 30 seconds. 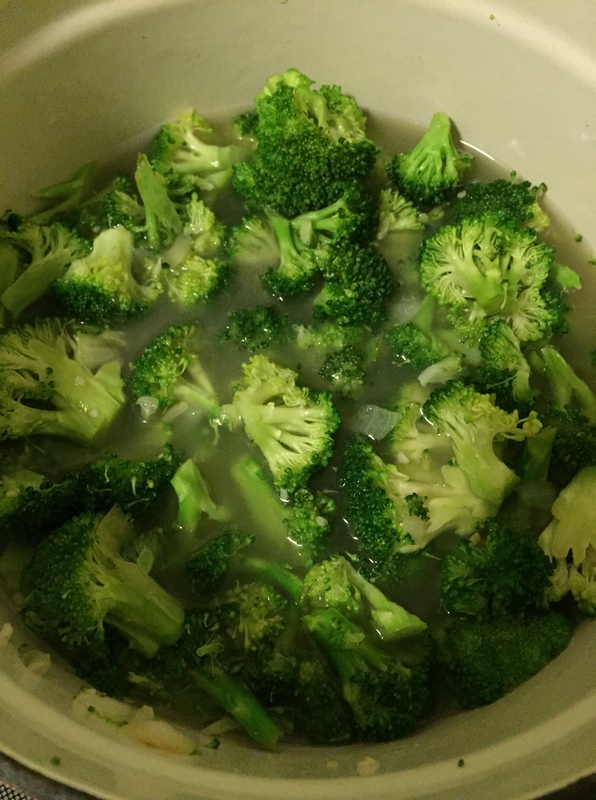 Add in broccoli and salt and cook for about 5 minutes, stirring frequently. Then add remaining 2 cups stock/broth and bring to a boil. 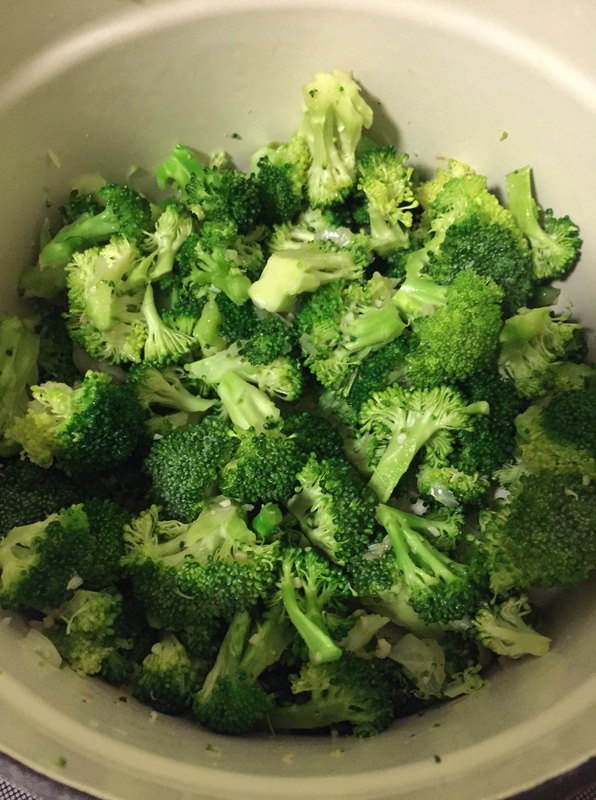 Reduce heat and simmer for 5 minutes or until broccoli is tender. Add rice mixture and simmer about 2 minutes while stirring. 4.) 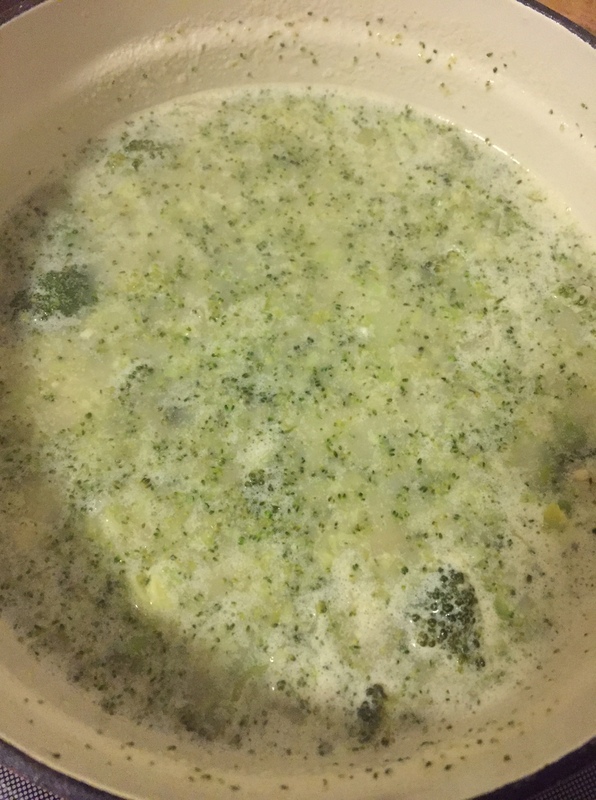 Take 2 cups of soup and put into blender/food processor. Blend until smooth and add back to pan. Add pepper and 1 1/2 cups cheese, stirring until cheese melts. 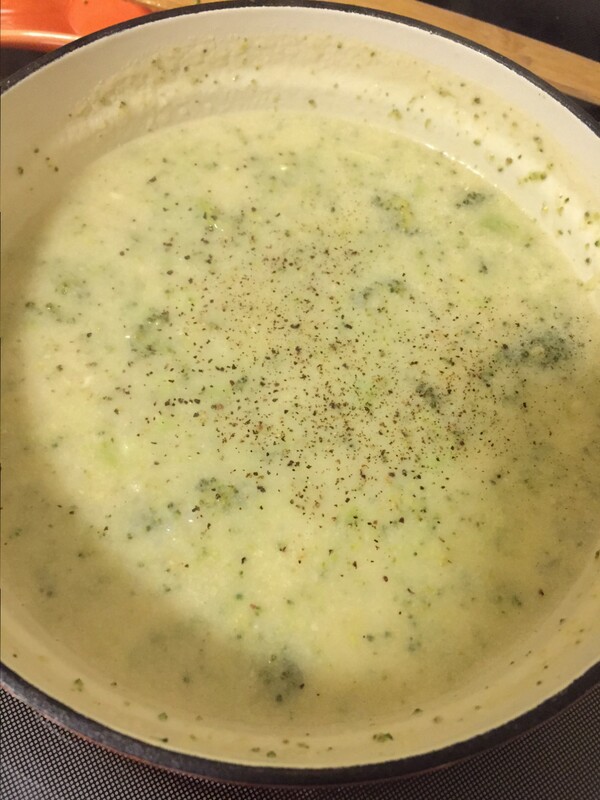 Divide soup among 4 bowls and top each with 1/8 cup cheese.